In today’s data center, being efficient with power and cooling resources is just as important as maintaining uptime. Power IQ® for eConnect® software provides the information and controls you need to fully utilize your existing infrastructure resources, while alerting you to trouble before it causes downtime. Power IQ scales to meet enterprise needs, allowing you to securely keep tabs on all your data centers and labs by monitoring PDUs,CRACs, UPS, RPPs, meters, branch circuits, racks, environment sensors and IT devices, all from a single web browser. 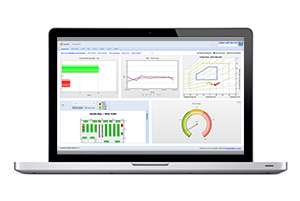 Power IQ® for eConnect® is a DCIM software for data center energy, power and environmental monitoring. Power IQ® (PIQ) for eConnect® software provides the information and controls you need to fully utilize your existing infrastructure resources, while alerting you to trouble before it causes downtime. With out-of-the-box compatibility with CPI eConnect rack-mount Power Distribution Units (PDUs), eConnect PIQ software can be easily deployed as a standalone monitoring solution or with Sunbird’s dcTrack® DCIM Operations to provide full asset and change management. PIQ functionality scales to meet enterprise needs, allowing you to securely keep tabs on all your data centers and labs by monitoring Rack PDUs, CRACs, UPS, PDUs, RPPs, meters, branch circuits, racks, environment sensors and IT devices, all from a single web browser. PIQ is vendor neutral and automatically accepts CPI’s eConnect PDUs and devices from other top manufacturers, allowing you to add support for many other products with our dynamic plugin capability. Constant synchronization of data between eConnect PDUs and PIQ software. Centralized authentication, access and auditing of all equipment. Centralized power control of all IT assets connected to Switched and Switched Pro PDUs. Centralized grouping capabilities of outlets, PDUs and other equipment. Automated emails alerts for quick identification of hotspots and other threshold violations.